Dinsmore & Shohl LLP has added Abby E. Chermely and S. Joseph Stephens, III to the firm’s Cincinnati office. They will both practice out of the employment group. Chermely joins Dinsmore after clerking for the Honorable Judge Michael R. Barrett of the United States District Court for the Southern District of Ohio and for the Honorable Judge Beth A. Myers in the Hamilton County Court of Common Pleas. During her time as a judicial law clerk, she assisted with court-related matters and helped coordinate the federal summer mock trial program. She received her J.D. from the University of Cincinnati College of Law and received her B.S. in journalism with a concentration in public relations from Ball State University. 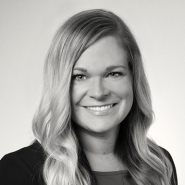 Chermely is a board member of the Cincinnati Bar Association’s Young Lawyers Section and serves as a mentor for the Ohio Women’s Bar Association, Mentoring Circle Program. Prior to Dinsmore, Stephens clerked for the Honorable Judge Timothy S. Black of the United States District Court for the Southern District of Ohio and for the Honorable Magistrate Judge Candace J. Smith of the United States District Court for the Eastern District of Kentucky. He was responsible for researching and writing on matters before the court as well as communicating with outside counsel on the court’s behalf. Stephens received his J.D. from Indiana University Maurer School of Law and received his B.S. in economics and political science from The Ohio State University. During his time in law school, Stephens was the editor-in-chief of the Indiana Law Journal.